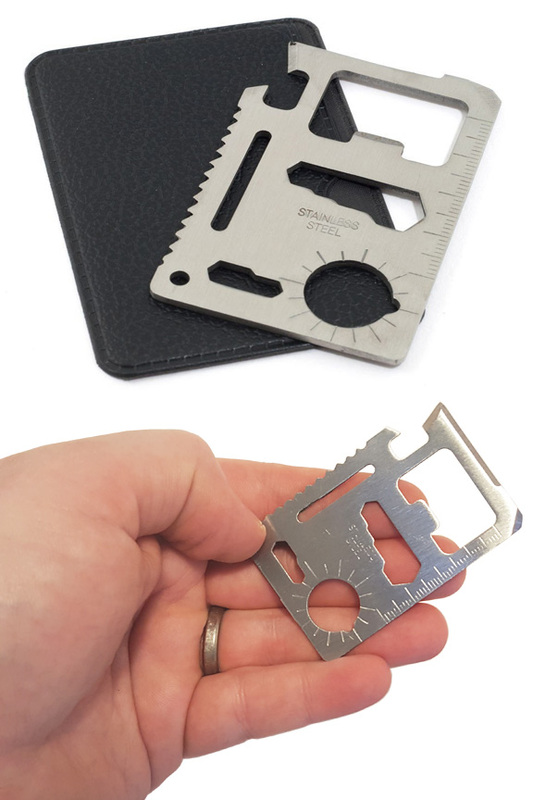 Compact and valuable, this ultra-thin multi-tool will keep you ready for emergency situations without adding bulk. You won't even remember that it's there, but when you need to cut, measure, tighten or remove something, this effective little tool will get the job done. With eleven different functions, and an overall size similar to a credit card, you can easily justify carrying this with you anywhere. It's made from a solid piece of stainless steel, and it's laser cut to perfection in order to provide key functionality at every angle. Use it to pop the top off your favorite beverage, take it out when you need to secure a screw, slice through rope and other material in a matter of seconds, or remove various sizes of bolts using the wrench cutouts at the center. It can even act as a ruler, or help to point you in the right direction. 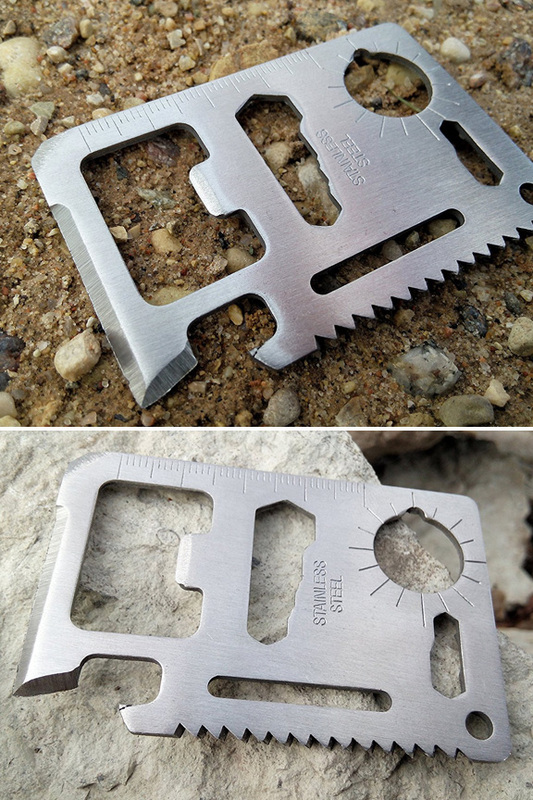 Keep one in your wallet to always be prepared, or take advantage of the small size, indestructible design, and integrated lanyard hole to stow one in your vehicle, or take one with you camping or backpacking. Few tools take up so little space, and offer so much value. This one is guaranteed to provide long lasting peace of mind thanks to the precision tool set, and the simple, unbreakable design. Heavy Duty. Durable steel construction allows it to be thin, yet strong enough to withstand the force required to use the tools properly. Easily Portable. Super thin, extremely light, and complete with a lanyard hole for additional storage options. Despite the thin design, it's also super strong, so you never have to worry about damage while traveling. Carrying Case. Comes complete with case for protection while not in use. Versatile. With a wide variety of uses, you're sure find value in the multiple abilities of this tool. Effective. More than just a gimmick, the tools on this card actually work. Easily remove screws, cut wood and more. Long Lasting. No moving parts, and nothing to break, fail or wear out. This tool will remain effective and ready as always-there emergency gear. Uses The perfect compact survival tool for emergencies. 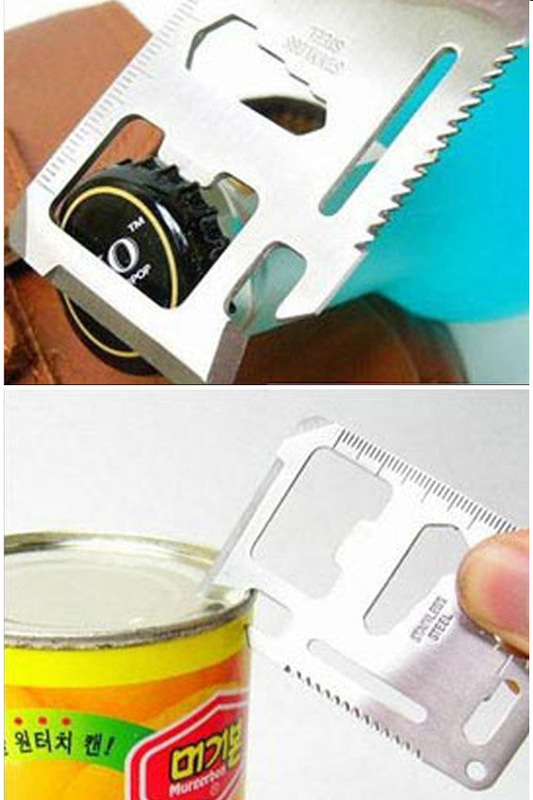 Works as a screwdriver, knife, saw, wrench ruler compass and more. 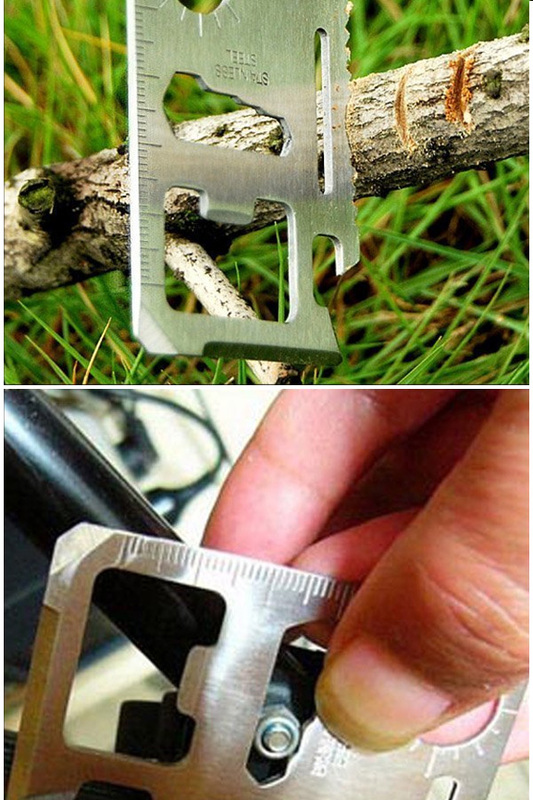 Always be prepared with this compact, lightweight, and indestructible tool. Get the functionality of many tools in one small package.Order Yours Today!